Third baseman Josh Donaldson and the Toronto Blue Jays agreed Friday to a $ 23 million US contract, the largest one-year deal for an arbitration-eligible player. The 32-year-old, a three-time all-star, topped the one-year, $ 21,625,000 deal covering 2018 agreed to last May by outfielder Bryce Harper and the Washington Nationals. 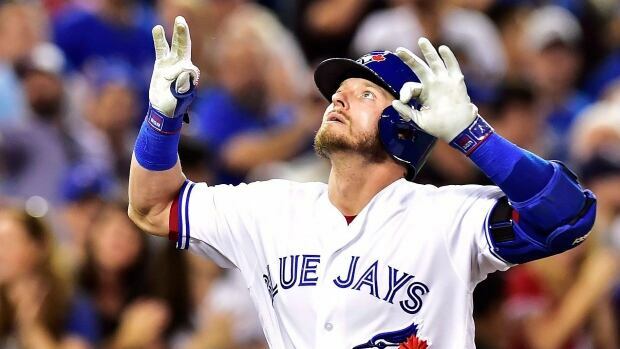 Donaldson, the 2015 American League MVP, got a $ 6 million raise after rebounding from an injury slowed 2016 to hit .270 last season in 113 games with 33 homers and 78 runs batted in. The sure-handed infielder missed time from April 14 through May 25 with a calf injury, which also hampered him during spring training. Donaldson was coming off a two-year, $ 28.65 million deal. He is eligible for free agency after this season. Toronto also agreed to one-year deals with outfielder Ezequiel Carrera ($ 1.9 million) and left-hander Aaron Loup ($ 1,812,500). Carrera earned $ 1,162,500 last season, when the 30-year-old Venezuelan played every outfield spot and batted .282 with eight homers and 20 RBIs in a career-high 131 games for the Blue Jays — 91 of those in left field. Toronto’s other arbitration-eligible players are right-handers Dominic Leone, Roberto Osuna, Aaron Sanchez and Marcus Stroman, outfielder Kevin Pillar and second baseman Devon Travis.